Probably the cheapest smartphone to officially land in the United States, the Coolpad Rogue undercuts the price of competing handsets from ASUS, Samsung, Sony, Motorola, Alcatel, and HTC by quite a margin. It is set to arrive on T-Mobile for just $50 unlocked. 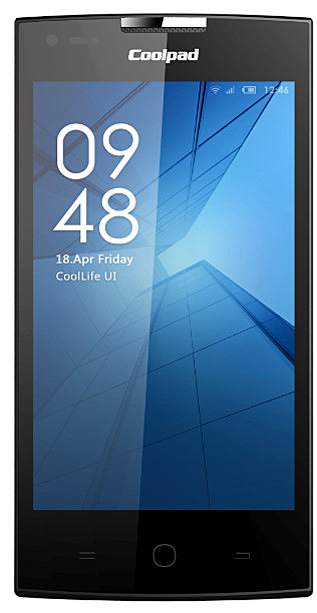 The Coolpad Rogue comes with a 4-inch display of 480 by 800 pixel resolution. It is powered by a dual-core Qualcomm Snapdragon processor with 1GB RAM and 4GB of expandable internal storage. It has a 2-MP primary camera and a VGA-quality front-facing snapper. Surprisingly, it comes with LTE connectivity in addition to Wi-Fi, Bluetooth, and GPS. It will run Android 5.1.1 Lollipop out of the box with the CoolLife UI on top. Do you plan on getting one?